This is an example of a Store Fixture Header with Push Through Letters. These headers are made from 1/2″ clear acrylic with a Kydex laminate. The Kydex is laser cut to allow for 1/4″ translucent acrylic letters to push through. 7: Are push thru letters precisely inlayed into the background? A: Yes. 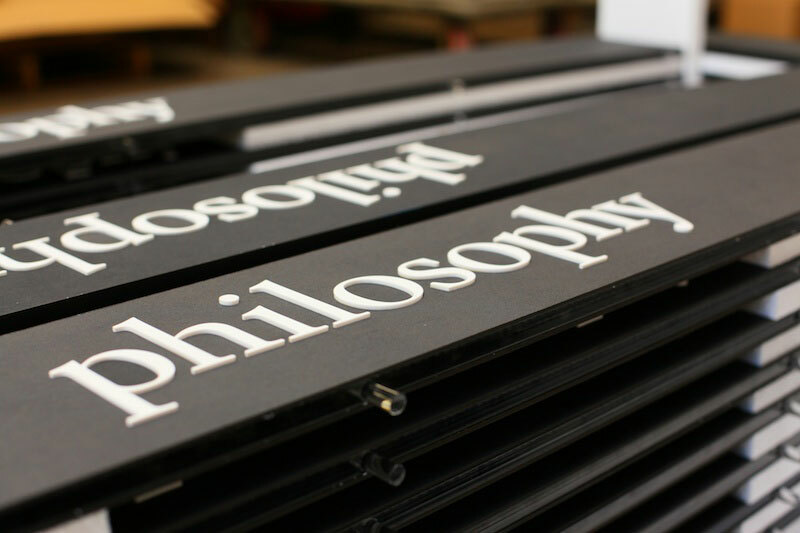 Our laser cutting process is super accurate, leaving a tight and consistent edge without any gap.